You were on the mock trial team in high school. You had a favorite Supreme Court justice whose life you’ve modeled yours after. You even took every class in college with “justice” or “law” in the title. Basically, you’ve dreamt of going to law school since birth. Your undergrad years are winding down and you’ve received those dreaded LSAT scores. While your friends apply to real world jobs and obsess over cover letters, your applications involve essays and proving yourself to a board of reviewers. After slaving over all those essays, you want to send them to the top notch schools. From LSAT scores and location, to alumni and course work, these schools are essential to anyone vying to be the next Ginsburg. 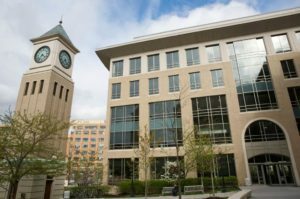 In the Georgetown neighborhood of Washington, D.C., anyone wanting to work in public service and rocks a 167 LSAT score should throw their applications this school’s way. “Georgetown has one of the best trial advocacy programs in the country,” said Jenny Newman, a first-year student and aspiring litigator at Georgetown. So these future lawyers get the chance to plead a real case in front of professionals to show off their skills. If your passions lie in more than just law, you can pick up a second degree in foreign service, business or even philosophy. Hopefully you’ll last longer than former president Lyndon Johnson. Do you thrive on the drama of practicing law? You might want to attend the alma mater of Jerry Springer, Northwestern Pritzker School of Law (Cue Chant: Jerry! Jerry! Jerry!). 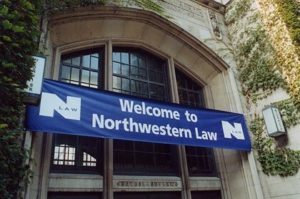 Springer must have had a stellar personal statement and GPA – Northwestern’s Law school only accepts around 25 percent of its applicants and its median LSAT score is 168. On a more serious note, those interested in the current Syrian refugee crisis can pick up a second degree in International Human Rights. A perfect complement to an already impressive law education. If you’re more considered about those dollar bills, Northwestern was one of the first law schools to start a Loan Payment Assistance Program, so you can focuse on cases instead of bill statements post-grad. 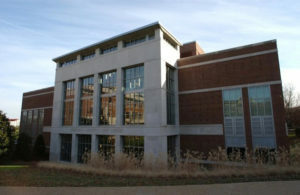 Vanderbilt has a law program for every passion, including the Energy, Environment and Land Use Program, which makes sense, considering Al Gore is an alum. But don’t expect an easy acceptance with a median LSAT score at 169. And if you’re a superhero, you can also enroll in Vanderbilt’s joint J.D./M.D. program and become both a doctor and a lawyer in six years. No biggie, you got this! For a more enjoyable law school experience, students also have the opportunity to study in Venice, Italy at Vanderbilt’s summer law program. But if you love country music and sweet tea, you may never want to leave this Nashville judicial bootcamp. If you choose UMich, get ready to run the world, or just the country like alumnus Gerald Ford. The school’s clinical program has over 18 options to gain hands-on experience in things like pediatric advocacy and human trafficking. Law students even get the chance to clerk at the International Court of Justice. Even after doing all of this, UMich still encourage social lives with their future lawyers. “The fact that about half the 1L [first year] class lives in the Lawyer’s Club dorms means that there are a lot of opportunities to socialize and actually get to know your classmates outside of class, which I’ve really enjoyed,” said first-year student Eric Fledderman. Nothing tops off a day of defending someone’s basic rights better than kicking back with your buddies. P.s. If UMich is your dream school, try to score around a 168 on your LSATs. Think you have what it takes to assist on Supreme Court cases before you even get your J.D.? The University of Pennsylvania’s Supreme Court Clinic allows a few lucky students to do just that every year, although they fill out a whole separate application after being admitted to Penn. 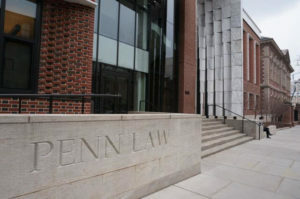 “Penn offers law students the possibility to complete a certificate program with Wharton (Penn’s business school); in this day and age, the ability to understand markets is crucial, so that will be incredibly useful,” said Areta Ania Jez, a senior at American University who will attend Penn next year. These incredible opportunities explain why Penn students have a 98 percent employment rate after graduation and a median LSAT score of 170. Penn also makes history, as its the alma mater to Sadie Tanner Mossell Alexander, the first African American woman to earn a PhD in the United States. Look out Ivy’s, the University of Chicago is creeping into your squad by accepting less than 20 percent of its applicants with a median LSAT score of 170. 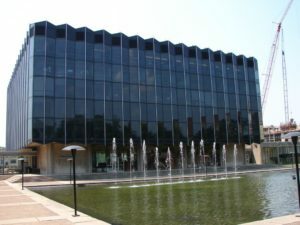 U Chicago has the reputation of creating well-rounded students by incorporating other fields, such as economics and philosophy, into the law classroom. If you’re worried about finding a job after graduation, don’t sweat, its 2014 class had a 98 percent employment rate. You could even make it to the big leagues like alumnus John Ashcroft, who served four years as Attorney General. Let’s be honest, most of us dream of living under the warm California sun. Well, in order to make this a reality, get a 172 on your LSATs and send Stanford an app. This law school developed a program in science and tech law, and learning about e-commerce and biotechnology laws gives you a leg up in our tech-heavy society. After graduation, you could end up helping Apple patent its newest phone or chase down an online scammer. 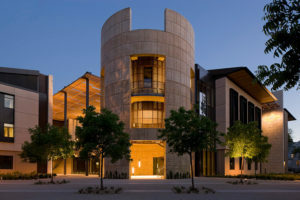 Don’t put all of your eggs in one basket with this school, though, Stanford accepts less than 10 percent of its applicants, one of which was Sandra Day O’Connor, the first woman to serve as a Supreme Court Justice. Columbia gets major brownie points for being in NYC, which gives you access to both unlimited networking connects and show tunes to wash away the stress. It’s also the alma mater of Associate Supreme Court Justice Ruth Bader Ginsburg, known for advocating for gender equality. “I chose Columbia because it had the academic rigor I was looking for in a law school and the clinic opportunities are some of the best in the country,” said Jordyn Giannone, a senior at American University who will be attending Columbia next fall. And if you’re unsure if you’re destined to become lawyer or a journalist, you can get your J.D. while getting an M.S. in journalism. 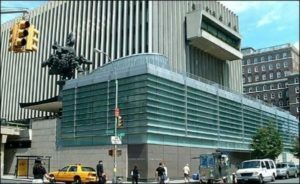 If this sounds like your dream, get to studying for your LSATs — Columbia has a median score of 172, only eight points away from a perfect score. Harvard may have a drastically low admission rate at 15 percent and a median LSAT score of 173, but once you get in, your likelihood of getting a job goes through the roof. The alumni employment rate sits at a comforting 98.4 percent. It’s not only where Rory Gilmore dreamed of going, but also where young Barack Obama studied Constitutional law before becoming POTUS. Is that the White House I see in your future? If suits and slim ties aren’t your thing, you could always live out your fantasy of being the next Elle Woods. 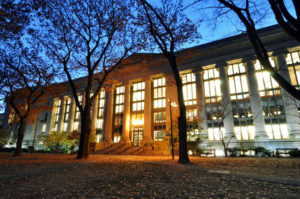 Harvard Law offers the most classes and seminars out of any law school in the world and offers seven programs of study, including things like law and history and law and social change. You could also hit two birds with one stone with their dual J.D./L.L.M. program with the University of Cambridge. Students can get their post-grad degree and advanced degree so they can practice globally in just three and a half years. Get ready to be a boss all over the world. If you’re obsessing over Hillary 2016, you might want to check out her (and Bill’s) alma mater. 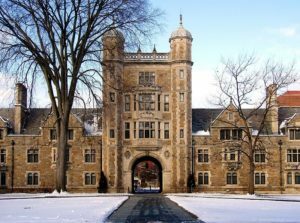 With an 8.9 percent acceptance rate and a 173 median LSAT score, getting into Yale Law basically means you’re criminal justice loyalty. 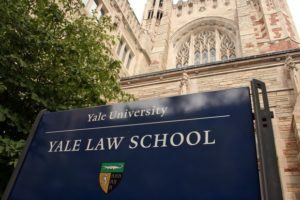 Yale goes beyond the basics, giving their students 12 different areas of law to specialize in, like corporate and human rights law. These areas each have their own center, workshops and publications. Students can jump right in to one of Yale’s 24 legal clinics (that first taste of real experience) during their second semester, even though most schools require students wait until third semester. So, if you want to get in as much hands-on work as possible before the bar exam, simply cross your fingers and get those applications shipped to New Haven.